This week, the Rotary Club of Washington, DC, welcomed guest speaker Ambassador Henne Schuwer, Ambassador of the Netherlands to the United States. President Elect Lynn Holec opened the meeting at 12:30 pm and requested everyone silence all cell phones. President Elect Lynn Holec led us all in the Pledge of Allegiance. 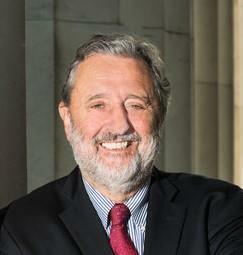 The guest speaker was introduced, Ambassador Henne Schuwer, Ambassador of the Netherlands to the United States. Henne attended the University of Leiden, where he earned a master’s degree in law. Henne then started working for the Ministry of Foreign Affairs in 1978. After postings in Vietnam and India, Henne’s career centered on the European Union and the transatlantic relationship. He served two terms as the Netherlands EU permanent representation, most recently from 2002-2006. He was Chairman of the Committee of Permanent Representations during the Netherlands EU Presidency in 2004. He also served as the director of the Secretary General of NATO Jaap de Hoop Scheffer from 2006-2009. Henne is currently serving his third term in the United States, where he is the Dutch Ambassador. He is married to Lena Boman from Sweden. Together, they have four adult children. President Elect Lynn Holec adjourned the weekly meeting with final remarks at 1:30 p.m.